DUBAI, United Arab Emirates, June 8, 2018 /PRNewswire/ — GAC Motor, China’s fastest-growing automaker, will open a separate 1,000-square-meter showroom (10,764 square feet) in the coming month in Dubai, officially launching sales of the automaker’s star models including the GS4 and GS8 in the United Arab Emirates market. The company is also to offer promotional deals such as after-sales service package and preferential financial package. “The opening of our new showroom in Dubai gives GAC Motor another platform where we can showcase our advanced and high-quality vehicles in the Middle East,” said Yu Jun, President of GAC Motor. “Furthermore, with this new outpost, we will elevate the shopping experience for customers with enhanced service quality. Each of GAC Motor’s new vehicles must pass CAE Certification, system examination, a complete vehicle test and targeted tests of seven road conditions – intense heat, high humidity, hypothermia, ice and snow, mountain, plateau and dusty environment. All tests are done on 200 cars, and the accumulated endurance mileage reaches 19.8 million kilometers (12.3 million miles). “Even in the hot, dry and sandy climate of the Middle East, GAC Motor products still deliver excellent performance. We also hope to impress the customers in the Middle East with more excelling quality in the future,” said Yu. One of the two new star models coming to the UAE market, the GS8 SUV, was developed over the course of five years. 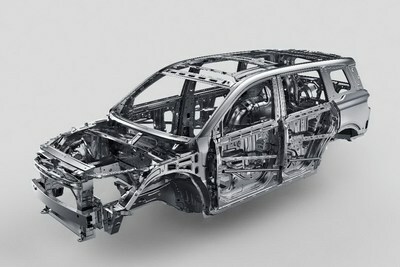 It includes the latest collision energy absorption technology and uses high-strength steel in over 95 percent of the driving cabin. In addition, the anti-collision beam and crash box can absorb the majority of the energy from a collision, which lowers maintenance costs after a low-speed collision, as only the anti-collision beam and bumper need to be replaced. GS8’s powertrain is equipped with second-generation i-4WD smart four-wheel drive and all-terrain feedback system, making it switchable freely among class-leading six driving modes including “Sand”, “Mud”, “Snow”, “Smart”, “Sports” and “Economy”. The design focuses on both maneuverability and off-road performance, resulting in further enhanced power advantage. 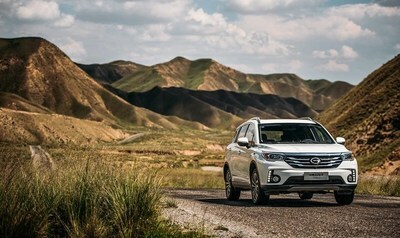 Another all-star model targeting the compact SUV market, the GS4, was created by GAC Motor following strict international standards. The five-star rated vehicle body design meets North American SUV roof crush resistance standards and features a comfortable, ergonomic design. In terms of power, the GS4 is equipped with advanced automated mechanical transmission having high transmission efficiency, sports, and sci-tech genes. Gearshift can be done within 0.2 seconds to allow consumers to enjoy efficient driving experience with low fuel consumption. In J.D. Power Asia Pacific’s China Initial Quality Study (IQS), the GS4 has ranked No.1 for two consecutive years in China’s compact SUV market sector. 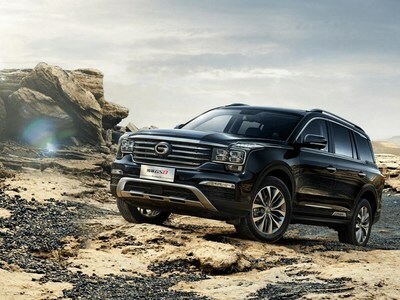 Throughout June, GAC Motor will promote its high-end vehicle models, the GS8 and GS4 SUVs and the GA8 sedan, in Kuwait, Qatar, Bahrain, the U.A.E. and Lebanon through a series of marketing campaigns including a preferential financial policy, exhibitions at local shopping malls and test drive events. According to GAC Motor’s expansion strategy in the region, the company is planning to open an office in the region to ensure localized management of sales, services, marketing promotions and talent recruitment as well as increasing international collaborative efforts. The automaker is also exploring options for expanding into Saudi Arabia this year. Going forward, GAC Motor will carry out continuous compatibility tests in the region on its entire line-up of vehicles with the goal of adapting additional models to meet the demands of the market and offer a wider range of selection to customers across the Middle East.